CODA (say: Ko-da) noun. A section of a movement added at the end to clinch matters or where all significant themes come together. 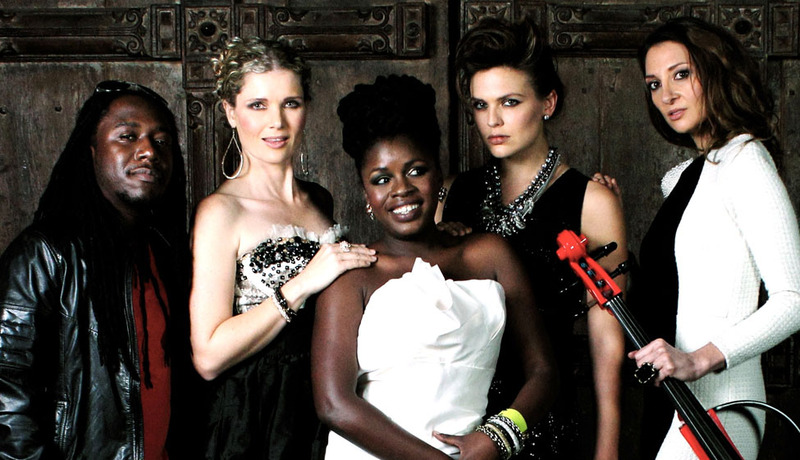 Fronted by powerful vocalist Zami Mdingi, CODA Africa combines electric strings (violin and cello) with saxophone and DJ. Their signature ensemble traverses different genres from Classically-inspired ballads to Electro-Swing, Dub Step, Reggae and Hip Hop. Countries the world over have enjoyed their dynamic and varied performances. 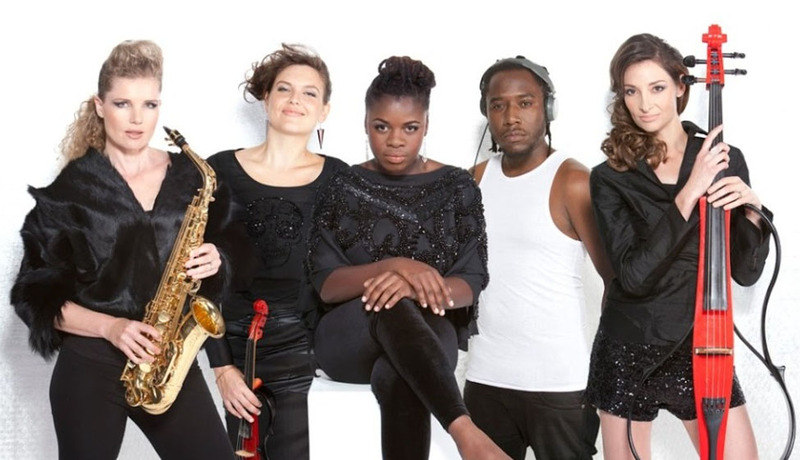 CODA Africa is Zami Mdingi (vocals), Galina Juritz (electric violin), Carol Thorns (electric cello), Judy Brown (sax) and DJ LuvChild. Their new album ‘Disclosure’ has been nominated for 2 All Africa Music Awards (AFRIMA) for ‘Most Promising Artiste in Africa 2014’, and ‘Best African-Electro Act 2014’ alongside Goldfish and Mi Casa. CODA Africa’s singles ‘It’s Still The Music’ and ‘Go Insane’ have featured regularly on South African radio stations. Their latest Electro-Swing track ‘Fat Boy’ is play-listed on Good Hope and Heart FM, also achieving slot on the SA Top Ten Chart. The music video of ‘Go Insane’ has been broadcast on Channel O and M Net. A popular choice for varied audiences, CODA Africa has performed at numerous high profile and international events including concerts (Miss SA, Jazzathon, Jazz on the Rocks, Home For All, Cape Town International Jazz Festival, Woman of the Year, Nederburg Concert Series, Paul Cluver Forest Amphitheatre), fashion shows (Cape Town Fashion Week, Durban Fashion Week), sports events (J&B; Met, Durban July) launch parties and government functions. Internationally CODA Africa has performed in the Seychelles, Zimbabwe, Dubai, Angola, Zambia and Botswana.